There is something rotten in the European Union and you can feel it for some time now. This feeling led to a desire in some member states to break free from the handbrake that others are pulling on their development. The rottenness is felt the strongest in those countries, which are not quite sure what they are doing in the EU. Such a state is Bulgaria. In many respects it can be defined as pro-European, but that would be a rather simplistic definition. Bulgaria is among the countries where support for EU membership is among the highest, but it does not say enough about what really matters, so that the Union can move in harmony in one direction. It says nothing about values, geopolitical orientation, the rule of law. In recent years, Bulgaria has become one of the member states where the pro-Russian wing started to become more and more vociferous and form an opinion. One consequence of this (and not only) was the election of Rumen Radev for president last autumn. He enjoyed the support of the Bulgarian Socialist Party, whose leader Kornelia Ninova immediately after her election to the post lay flowers at the monument to the communist dictator Todor Zhivkov, and in the campaign for the snap parliamentary elections on March 26 she even said that "democracy has taken away a lot from us". She has contradictory rhetoric - once demonstrating moderate Euroscepticism in combination with pro-Russian slogans, and other times confirms Bulgaria's European path. In this sense, it will not be an exaggeration to say that Sunday's vote will show whether Bulgaria will go in the way of Poland and Hungary, or will remain on its current path, which can be described as pro-European, but with many caveats. The paradox the country is in reminds a lot of the one in Serbia, where the forces who want to be with Russia and Europe simultaneously prevail. 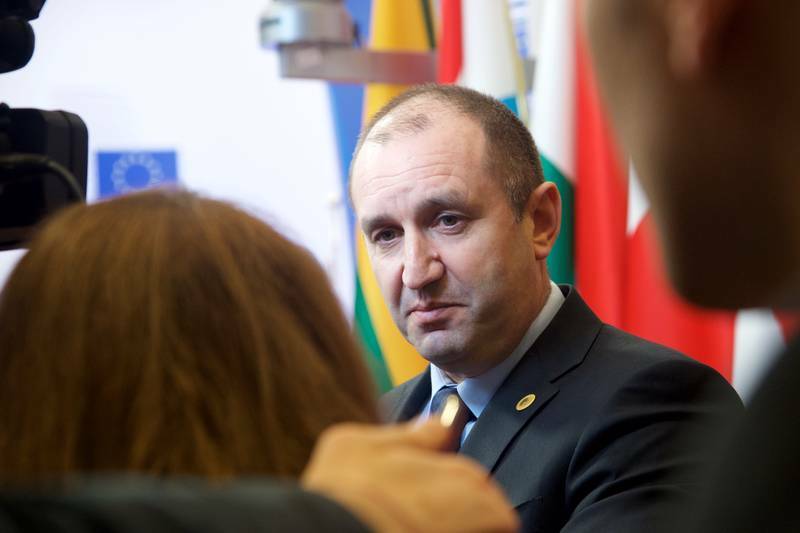 Indicative of the internal rupture was the behaviour of President Rumen Radev at the spring summit of the European Union in Brussels on 9 and 10 March, when he tried to fight the contradictions of the EU through his own contradictions. Following the summit, the president held a monologue with the media which lasted over 10 minutes, during which time he managed to clash several theses. At first, he reacted strongly to reports in Bulgarian media that he had supported the conclusions about the trade agreement with Canada (CETA). He categorically rejected the idea that he welcomed CETA. Word is about the conclusions of the summit in which leaders of the 28 member states welcome the results of the vote on the agreement in the European Parliament, which it was approved by. The conclusions call for a swift adoption of the necessary proposals, which would lead to implementing of the Agreement. Where is the problem? The text has been approved by all member states, but does not have the legally binding power of conclusions of the European Council due to a ridiculous turn of events. Poland refused to sign in protest against the reelection of former Polish prime minister Donald Tusk (EPP) to the post of president of the European Council. Although Polish Prime Minister Beata Szydło has no problem with the contents of the text, she refused to sign it. 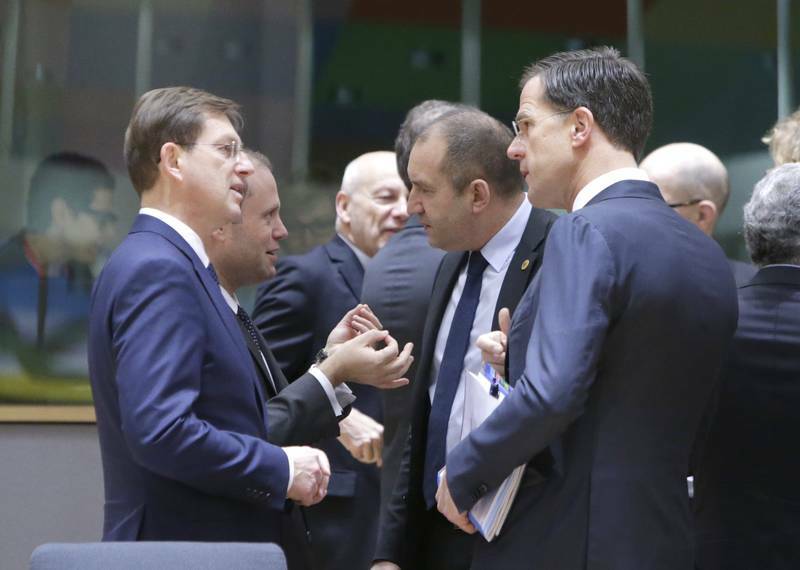 So the document was legally downgraded to conclusions by the president of the European Council. This in fact saved the Bulgarian head of state from falling in the uncomfortable position of having to explain to the party that supports him why he signed something, which the party and he himself has denounced. According to available information, there was no leader against the text. It did not become clear from the president’s monologue whether he was going to vote against, was it not for Poland’s protest. Even with that information missing, however, the president was contradicting himself. At first he said that the question about CETA at the European level had already been decided. “It was decided by giving authority to the Bulgarian parliament and the Bulgarian government. At a meeting the government decides to sign CETA, CETA is being signed here, in October of last year the Bulgarian prime minister has voted for CETA in the European Council, CETA has been approved by the European Parliament”, he said. At the same time, however, he announced that he will refer to the Constitutional Court, because the agreement requires amendments to the Constitution. 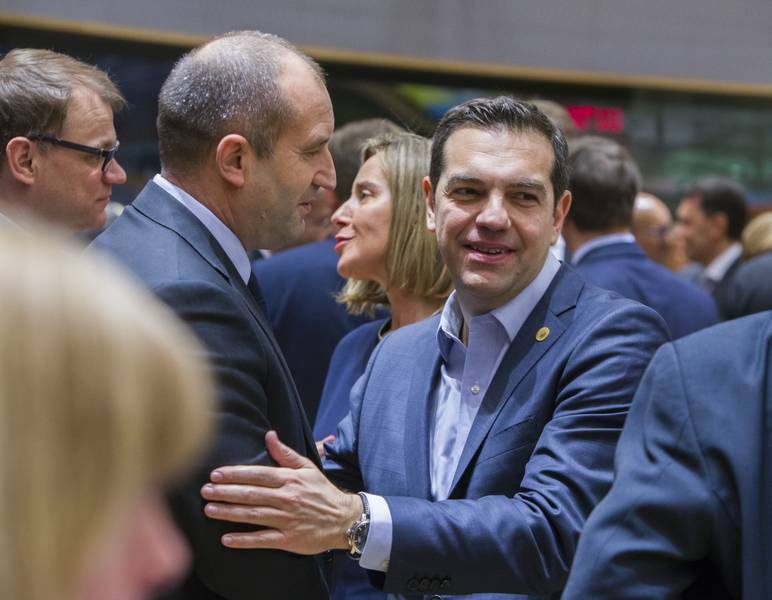 A little later, the president announced that in the name of EU unity compromises need to be made. “What I shared is that by supporting, now in the past, the decision on CETA Bulgaria is making a compromise because, in my opinion and according to analysts, CETA is a huge advantage to strong and sustainable economies. To weak and fragile economies CETA is a threat. And here the Bulgarian people and the Bulgarian state make their sacrifices in the name of solidarity and EU principles”, he said in front of Bulgarian journalists in Brussels, who had no opportunity to ask any questions. The president dedicated a large portion of his monologue to the process of drafting the declaration of Rome, which will be signed on March 25 in Rome on the occasion of the 60th anniversary of the signing of the Treaties of Rome which laid the foundation of the EU of today, but he fell into contradiction on this subject as well. He announced he is against a multi-speed Europe because “there is no way to have a single body in two speeds”. He believes that the draft text is full of controversy. “On the one hand we have words and phrases like 'a consolidated union', 'a social union', 'a prospering union', 'a strong union at the global scene'. On the other hand we have terms like ‘some of us’, ‘different speeds when needed, when possible’, ‘the enhanced cooperation remains open for’, in other words this is the controversy”. He announced that he had requested the removal of all texts that contradict the principles of unity and solidarity and that he has requested a mandatory inclusion of a text about the continuation of cohesion policy. 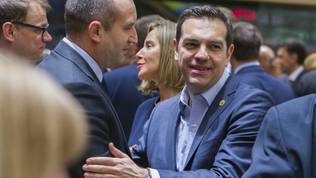 At the same time, he urged Bulgaria not to look at the EU as a cow to be milked and admitted that despite the fact that over the last 10 years European funds amounted to 40% of all public investment, it never brought any social cohesion. “The effect on Bulgarians’ living standard is mere 0.8%”, he said and stuck a finger in the wound: “A determined fight against corruption, the scamming of European funds is necessary, clear rules need to be set, work for all law enforcement and judicial authorities, serious reforms in the judiciary as well, education, healthcare, the economic sphere. If we do not do this, nobody will wait for us. 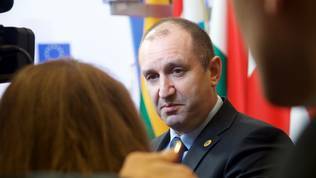 Formally or informally leading states will go at their own speed”, were the words of Mr Radev. The president tried to lay the blame for the state of Bulgaria on another front as well. 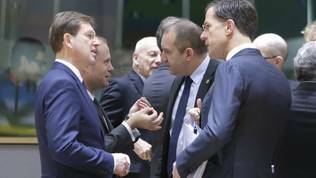 He criticised the investment plan of the European Commission, known as the Juncker plan, saying that it favours stronger economies and businesses in developed countries, but Bulgaria still supported it. "So we still have made our compromises." He further stated that "Investments are wonderful - those which come to us - but the cost of labour is much lower for the same levels of effort and intelligence that our workers, engineers, etc. put in. So we pay for solidarity not with words, but with real compromises, with real actions". According to the report of the European Commission on the implementation of the plan from January of this year, Bulgaria is a bit below the middle on the list of countries which have benefited from this plan. By January a single infrastructure project has been approved at designated value of 150 million euro, which is expected to unlock 408 million euros in investments. Up until now ten agreements for the financing of small and mid-size enterprises have been signed to a total value of 54 million euro, which are expected to trigger investments worth of 563 million euro. 4960 small companies or start-ups are expected to benefit from this aid.